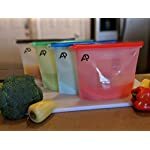 Home / Eat / Storage Containers / Axon Products Reusable Storage Bag Silicone Airtight for Food Storage Container | microwavable and freezable. Rethink about using disposable plastic bags and help the environment! Axon Product’s bags were introduced to benefit everyone give up its single use plastic bag habit. You also save yourself money by not constantly buying disposable sandwich Ziploc bags! Our silicone bags are highly durable and more eco-friendly than plastic. It is also safer as our bags itself are made of food-grade silicone which does not contain harmful substances such as BPA or PVC and unlike plastic, don’t introduce any toxic chemicals to our food and the environment. 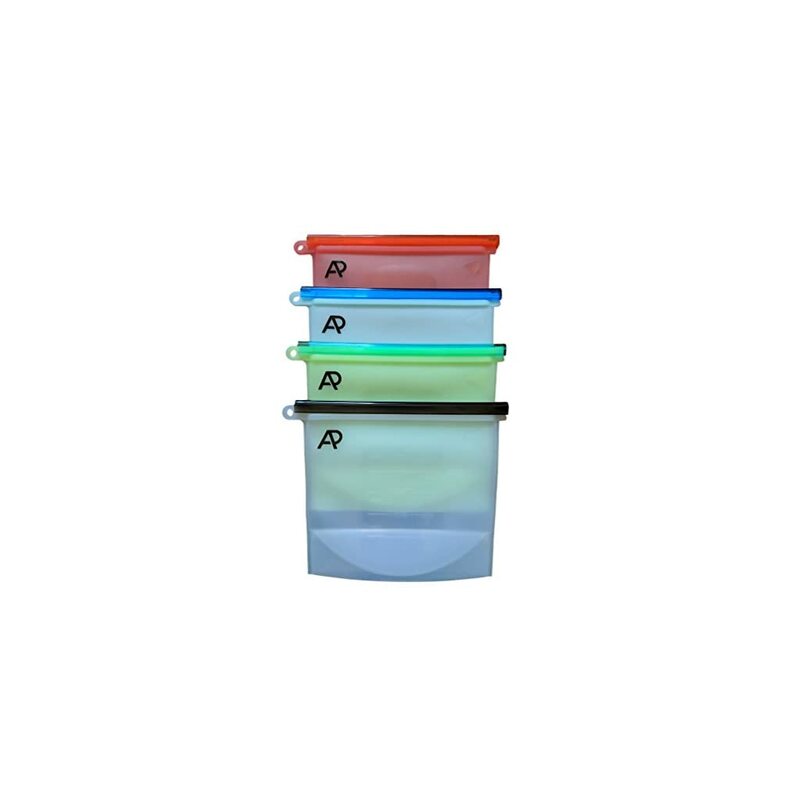 Quick and Convenient Axon product’s Silicone bags are 100% microwavable and is 100% airtight and leak-proof that’ll keep foods and liquids contained. Save space in the fridge with our silicone bags and take them on the go! 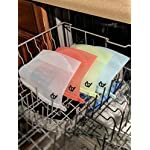 Our bags are so versatile that you can even place them in your dishwasher for easy clean and piece of mind with no hassles! 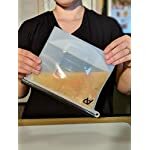 Versatile and Mulitipurpose use Axon products silicone bags are made to place your snacks, food, and liquids while being able to freeze at temperatures of -40°F and heat to 446°F! ALWAYS remove the slider bar before heating. DO NOT heat it, can melt over 200℉. It is totally normal that the slider bar feels tight, it’s what keeps the bag’s seal leak proof. You can use a dry-erase marker to write on the bags. 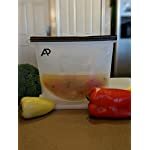 Leak proof to store liquids such as soups, juices, smoothies, marinades, sauces. The front of the bag also has a measurement indicator. FDA approved, BPA-Free food grade silicone. 回 High Quality and Safe: Axon Product’s reusable bags are made from 100% premium food grade silicone. BPA free, FDA/LFGB approved, eco-friendly, reusable and durable. Axon products are environment friendly and may be used to replace disposable bags. Our bags are great to freeze, microwave, store, and wash our bags as many times as you need! 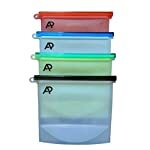 ♺ Environmental friendly with premium quality: Axon Products 4 Pack Eco-friendly Reusable Silicone Food Bag Storage Bag are designed to be leak proof! Axon Product’s are made to fit any food or drinks! Our bags are heavy-duty and can withstand whatever you throw at it. Our premium silicone bags will ensure durability, keep food fresh, keep liquids from leaking, and long-lasting. 回 Easy to Clean: Axon Product’s are hand washable or throw it in the dishwasher for an easy clean! Allow them to dry and reuse at your convenience. 回 Multi-Use: Axon Products can be used in the house, taken to school, or taken on a road trip! Our bags can hold fresh veggies, nuts, snacks, sandwiches, and any liquid foods. 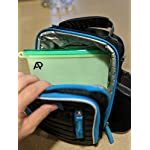 Axon Product’s premium silicone bags ensure an airtight seal to completely isolates the bag’s contents and makes sure no leaks and keeps your food FRESH. ♡ We guarantee that you will love it or money back guaranteed if you’re not happy with your purchase, we will 100% give you your refund, no questions asked! NOTICE: The silicone bag is a little hard to open and will be heavier than traditional plastic bags. We hope that you can keep patient. Because only in this way can ensure that the bag is sealed enough and able to withstand drops and spills. 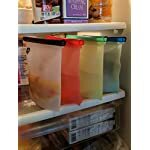 Our Silicone bags are made to ensure quality and will not spill out of the refrigerator.